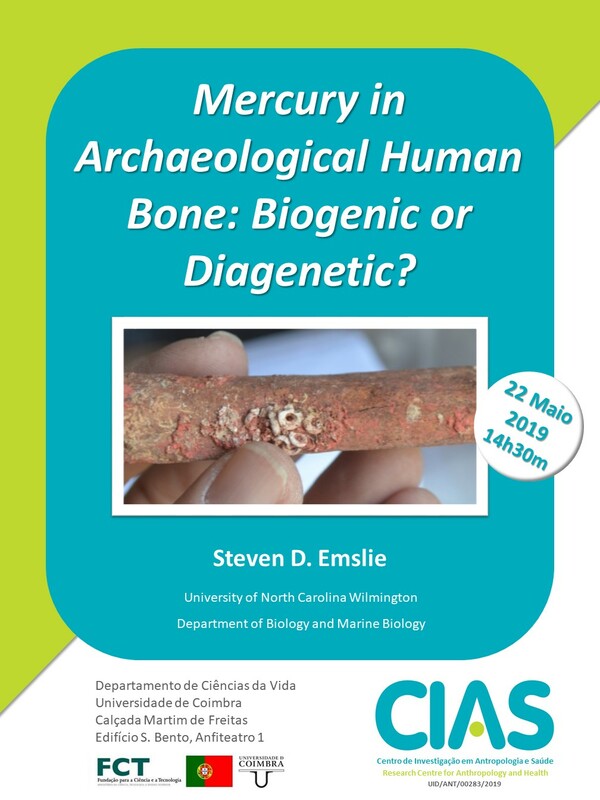 You are here: CIAS > Events > CIAS, conferência, Steve Emslie > Mercury in Archaeological Human Bone: Biogenic or Diagenetic? Será apresentada no próximo dia 22 de maio pelas 14:30, a conferência Mercury in Archaeological Human Bone: Biogenic or Diagenetic? proferida por Steven D. Emslie (PhD, Department of Biology and Marine Biology, University of North Carolina Wilmington).